employers include The Salvation Army, Tung Wah Group of Hospitals, Youth Outreach … etc. 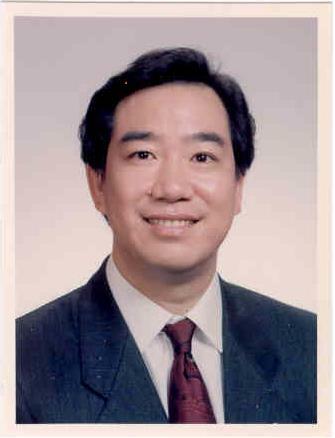 － Member, The Association of the Hong Kong Members of Guangdong's Chinese People's Political Consultative Conference Committees Ltd.
－ Previous working experience including Assistant General Manager and Assistant to Group Deputy Managing Director of Chevalier Groulp (3 Publicly Listed Group of Companies in HK with 150 Subsidiaries worldwide), Operation Controller (Director) of Gome Home Appliance (HK) Limited, CEO & Executive Director of Silver Base Group Holdings Ltd. (A Company Listed on the Stock Exchange of Hong Kong Ltd.), and Vice President of Century City Holdings Ltd. (A Company Listed on the Stock Exchange of Hong Kong Ltd.) ... etc. "... As a Graduate of the Senior Executive Diploma in Business Administration (SEDBA) and Senior Advisor, I am most happy to endorse and highly recommend the reputable Chartered Management School of Distance Learning (CMS), which has been admitted as a Recognised Centre of the prestigious Education for Business Managers and Administrators (EBMA), UK. I am also pleased to learn that the EBMA is one the Quality Assurance Agency for Higher Education (QAA) (UK)'s "Awarding Organisations involved in Educational Oversight". More importantly, I am pleased to know that the QAA (UK) has been listed as one of the "International Quality Assurance Agencies" by the Hong Kong Council for Accreditation of Academic and Vocational Qualifications (HKCAAVQ)! I am sure CMS will continue to provide high-quality programs to our senior executives in Hong Kong in the next 13, 26 and 39 years. Big Congratulations!" 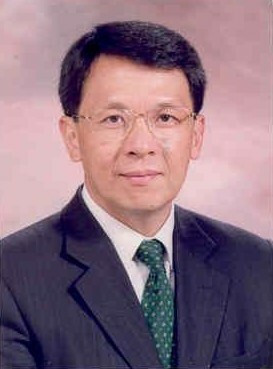 Hong Kong Limited), and currently Group Director of a Hong Kong Listed Company. －Mr. Kenny Leung's previous employments include Personal Financial Manager of Standard Bank, and Private Wealth Manager of Bank of America Merrill Lynch ... etc. Woolworth Sourcing Hong Kong Ltd., Next Sourcing Ltd., and Tesco International Sourcing Ltd.
－ Previous working experience including Deloitte Tohmatsu, Hong Kong and PricewaterhouseCoopers, Hong Kong (Senior Associate, Assurance - Financial Services Practice) ... etc. "I am much delighted to write this Letter of Appreciations! It gives me great pleasure to advise that upon graduation from the Professional Diploma in Business Administration (PDBA) of CMS, with the great help of Charter Management Association (CMA), I have been admitted as a Fellowship of the reputable Chartered Management Association. I have been working at senior management level with a large CPA firm in Hong Kong. I would sincerely recommend your various Academic Programs to any aspiring career-oriented working adults, who have the great desire to achieve higher academic and professional recognitions, same as myself ... 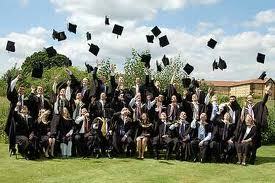 I am proud to be one of your graduates! All the very best to CMS and colleagues! With warmest personal regards!" such as Lane Crawford Limited, Magazzin Group Limited and Eu Yan Sang HK (IT Manager), ... etc. 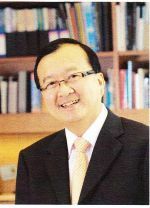 “I am delighted that the Chartered Management School of Distance Learning has devoted the past ten years to the provision of high quality education and training for personal or corporate improvement in Hong Kong. 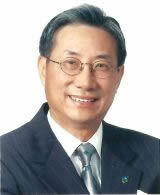 The impressive efforts of Professor Stephen Shum and his staff must be duly recognized. As the Honorary Patron, I send my warmest congratulations to the Chartered Management School of Distance Learning on the occasion of its 10th Anniversary, and on its many successes and contribution to life-long education and human resources development in Hong Kong. I wish the School continued success in the years to come." － Director and Vice Chairman of Executive Committee, Metropolitan Bank (China) Ltd.
－ Non-executive Director and Chairman of Audit Committee, Pioneer Global Group Ltd.
－ Non-executive Director and Chairman of Audit Committee, Sunshine Capital Investments Group Ltd.
－ Director and Chairman of Audit Committee, Shanghai Electric Group Company Ltd.
－ Non-executive and Director and Chairman of Remuneration Committee, Grand T.G. Holding Ltd.
－ Non-executive Director of Audit Committee, Zhuhai Commercial Bank Ltd.
－ CFO, Ningbo Yidong Electronic Company Ltd.
－ Uni-Bio Science Group Ltd.
“ … Chartered Management School of Distance Learning (CMS) is responsible for organizing and delivering quality education programs in Hong Kong … I am sure CMS will continue to focus on the areas of expertise and excellence that are of the highest quality, and provide excellent programs to its students in Hong Kong and the greater China region. I sincerely congratulate CMS on its magnificent 10th Anniversary and Professor Stephen Shum the pioneer for his outstanding contributions, aspirations and motivated dedications over his tenure in the office. Once again, well done and my sincere best wishes are that CMS will continue its prosperity and accomplishment with zealous efforts. May the unfolding and the future be bright with many more memorable celebrations of achievements for CMS for the next decades!